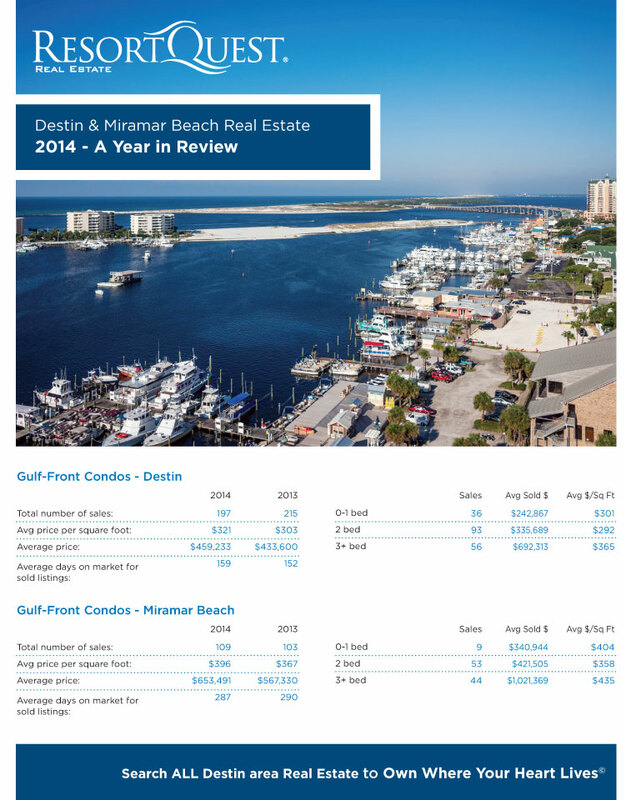 A common theme for condo sales throughout Miramar Beach and Destin is average price per square foot and average price are up in 2014 over 2013. 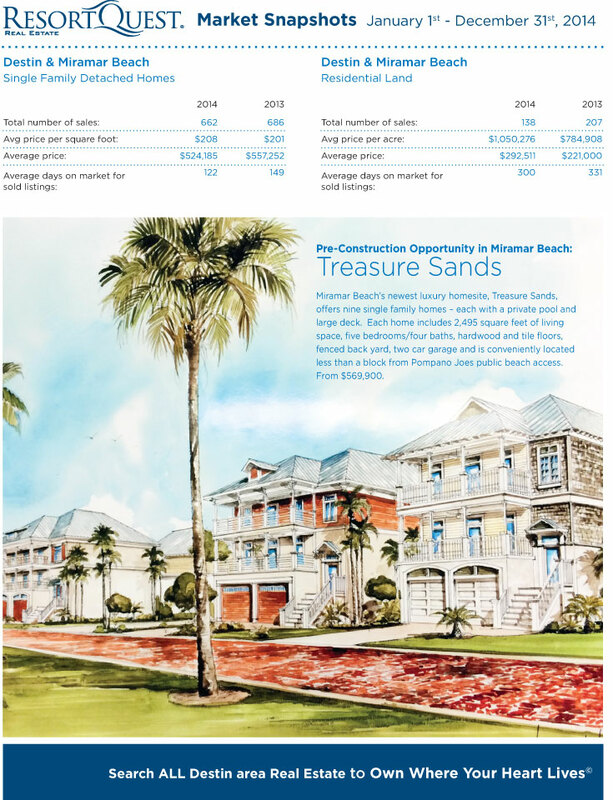 In addition, single-family detached homes and residential lots are selling at a faster pace than those sold in 2013 on average. 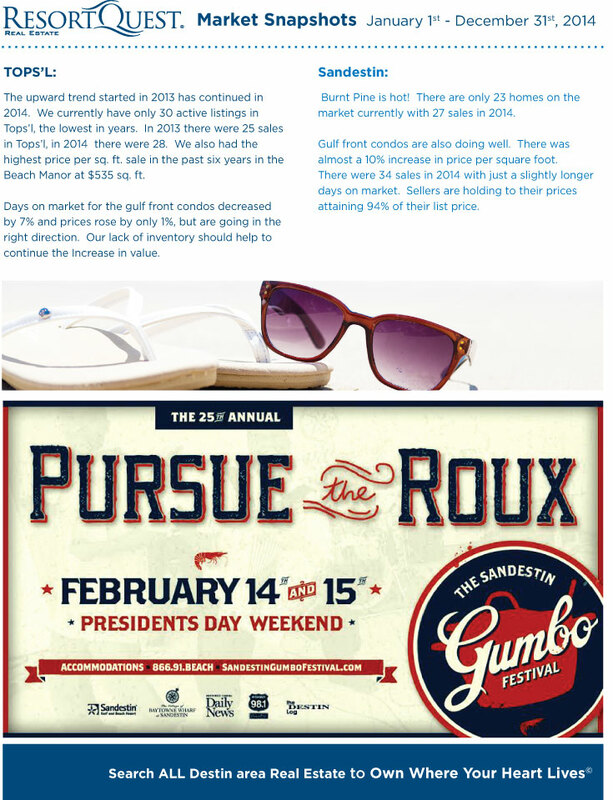 Read on to learn more about NEW developments in the Destin area, 2014 takeaways, and highlights from the area’s top resorts, TOPS’L Beach & Racquet Resort and Sandestin Golf & Beach Resort.